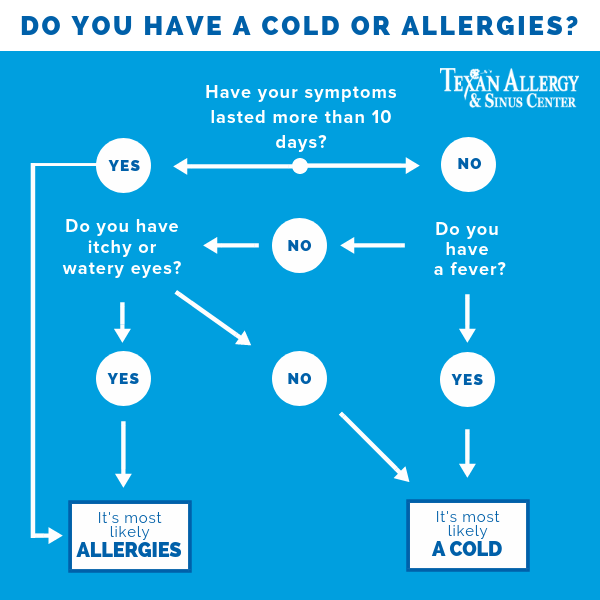 What's the difference between a cold and allergies? Sneezing, sniffling, and coughing is always awful, but it's not always caused by the same source. 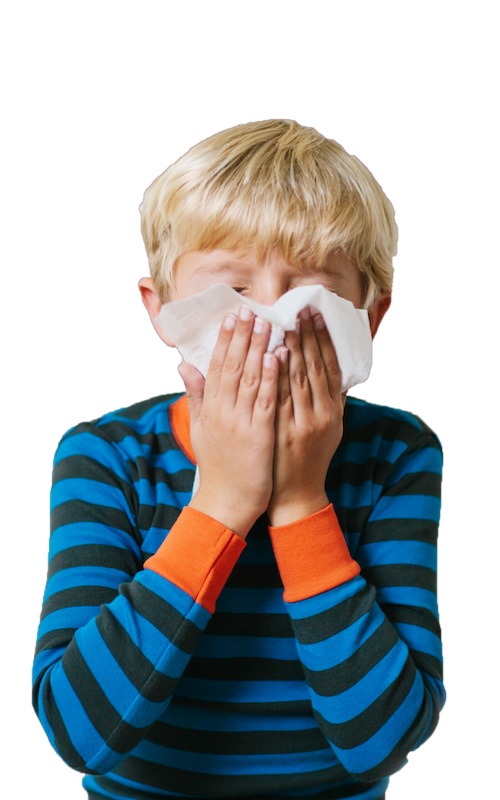 Both a cold and allergies have very similar symptoms, but there are ways to determine the source of your suffering. With over 60 million people in the country suffering from allergies, and the average adult getting 2-3 common colds yearly, there's a lot of sniffing and coughing that occurs in a person's life. The two conditions can feel similar, but treatment and management of the symptoms is different which is why it's important to nail down what you're treating. Raised Temperature - A high temperature means you're looking at a cold or infection. Itchy eyes - A cold can cause watery and irritated eyes, but itchiness is a good indicator of allergies. Symptoms lasting longer than 10 days - You'll rarely have a cold affecting you for more than 10 days. Aches and pains - Your allergies will make you feel fatigued, but noticeable aches and pains are a sure way to mark off allergies as the culprit. If you're still feeling a little confused or uncertain, it's no problem at all! That means it's time to talk to a medical professional about your symptoms to get on the right treatment plan for relief.